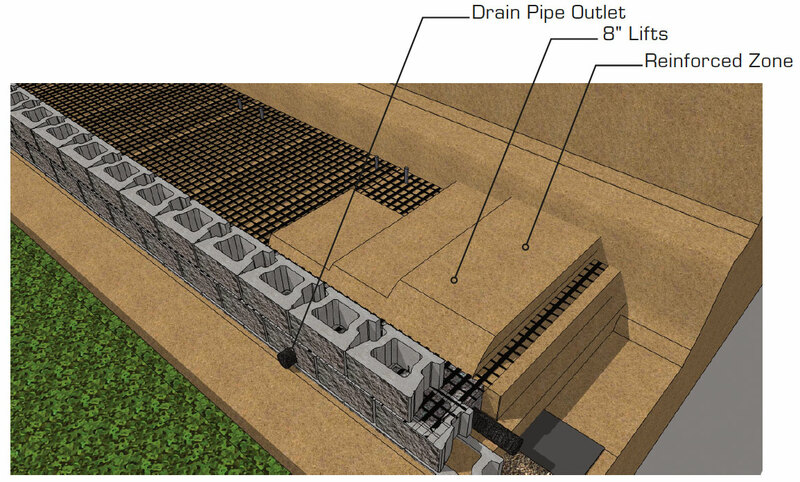 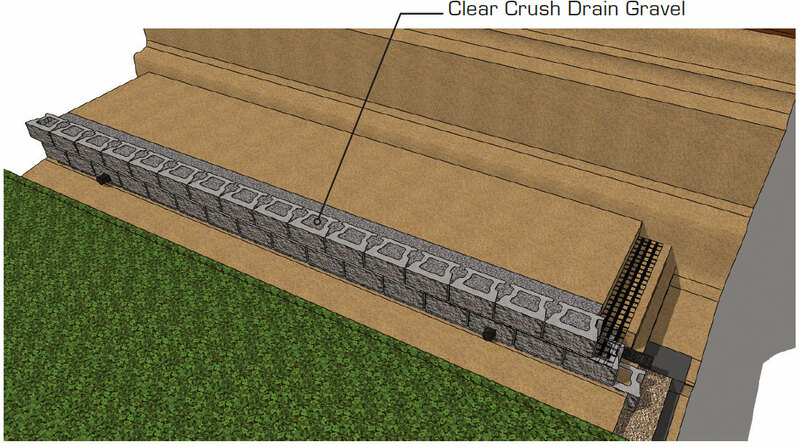 Creating a CornerStone® reinforced retaining wall system, involves the use of geogrids for reinforcement. 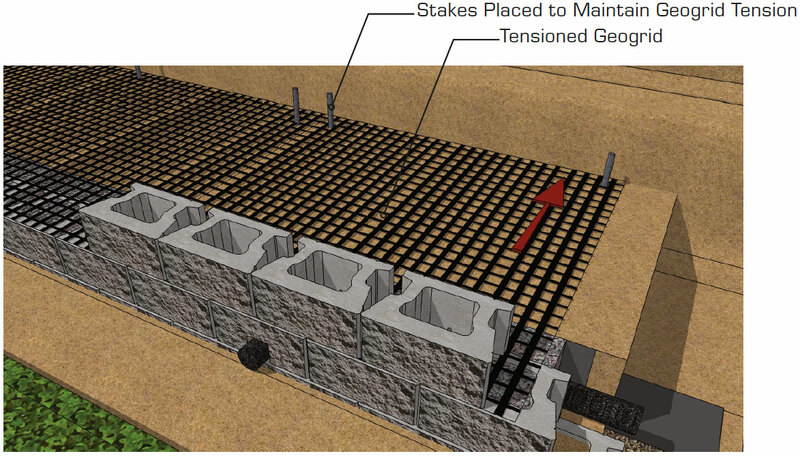 Cornerstone geogrid retaining walls 4.0ft (1.2m) and taller will automatically have active pressures because of their height. 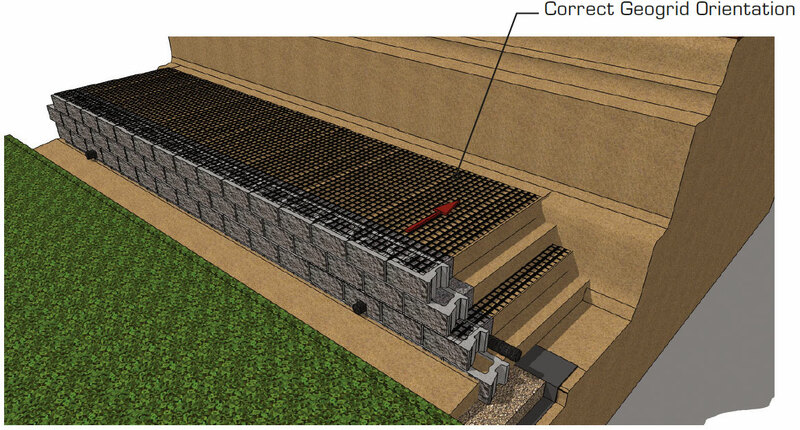 Retaining walls smaller than 4.0ft (1.2m) may also require geogrid reinforcement depending on other related factors. 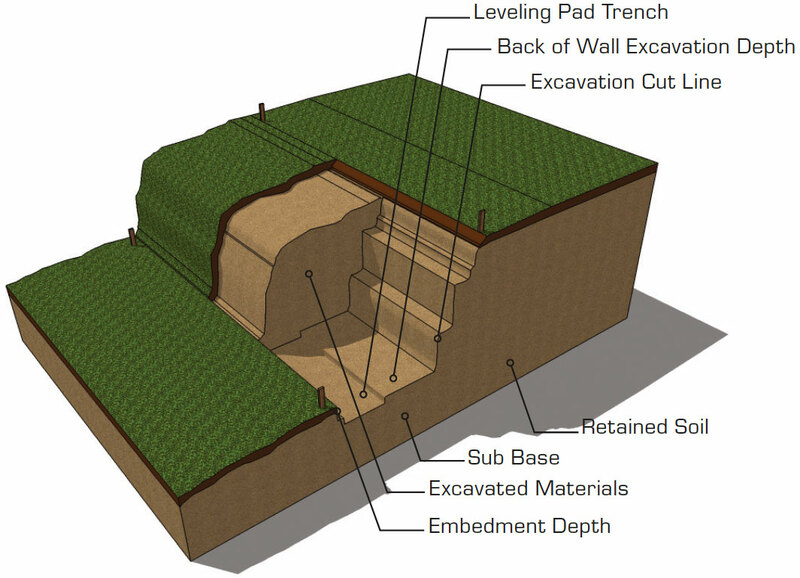 Parking lots, roadways, or positive slopes above walls for example, require the use of reinforcement to help resist the increased pressure behind the wall. 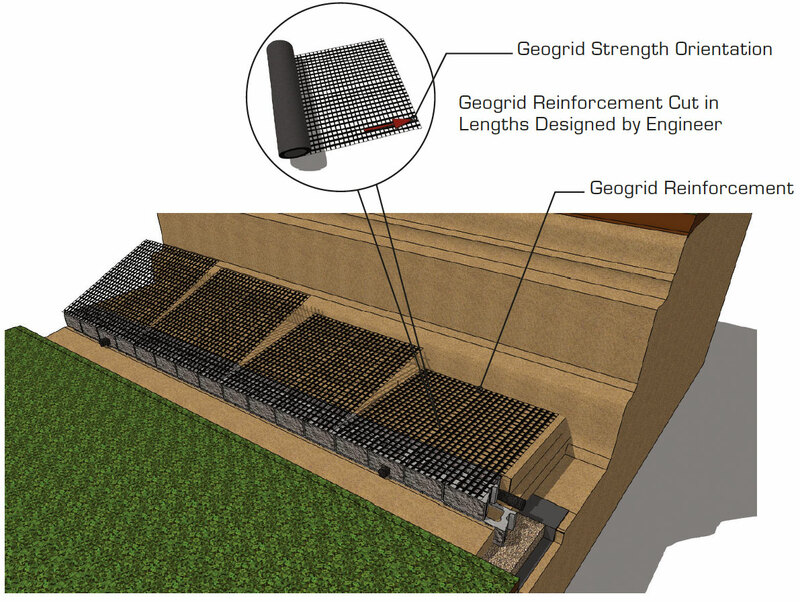 Geogrid used with the appropriate lengths, layers, and compacted backfill materials will resist these active forces above and behind the wall. 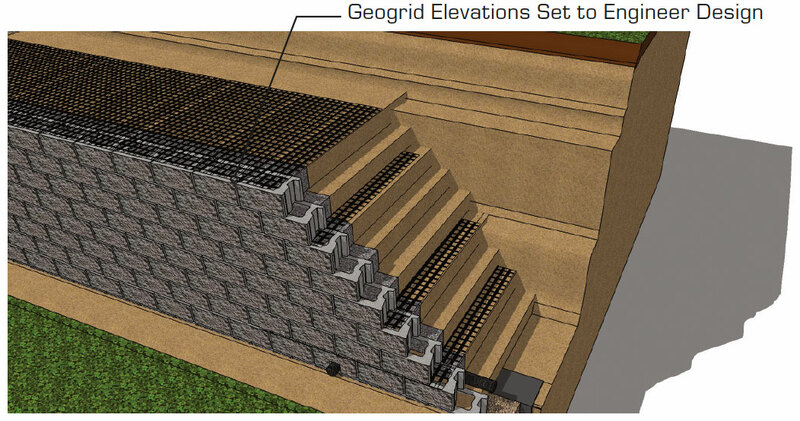 For CornerStone 100 geogrid reinforced retaining wall 4.0 ft and taller a qualified engineer should be consulted.